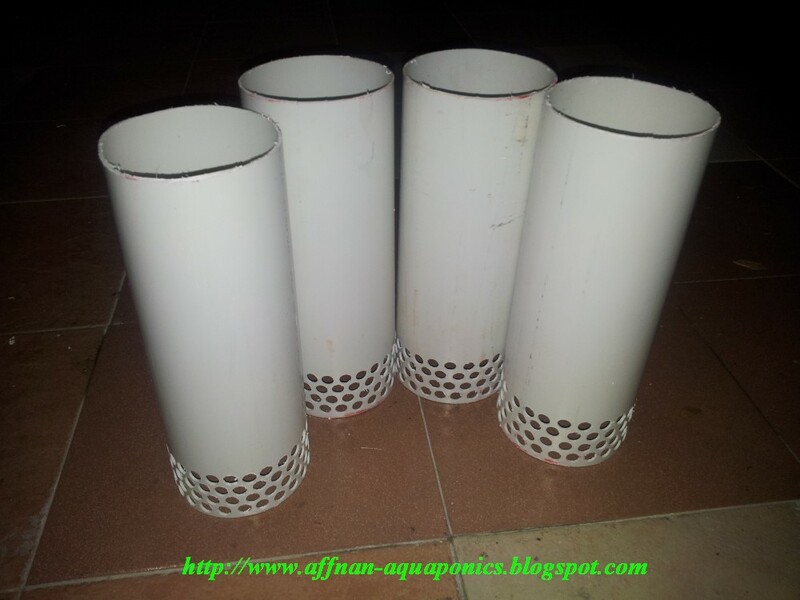 Slowly but surely the outer strainer done, its a 110mm PVC pipe normally use for sewage or rain water gutter outlet. Four pieces for four Siphon set, those holes are 10mm using tile drill bit to make. This strainer is for 12" media growbed maximum height. I'll finish the bell tube next.